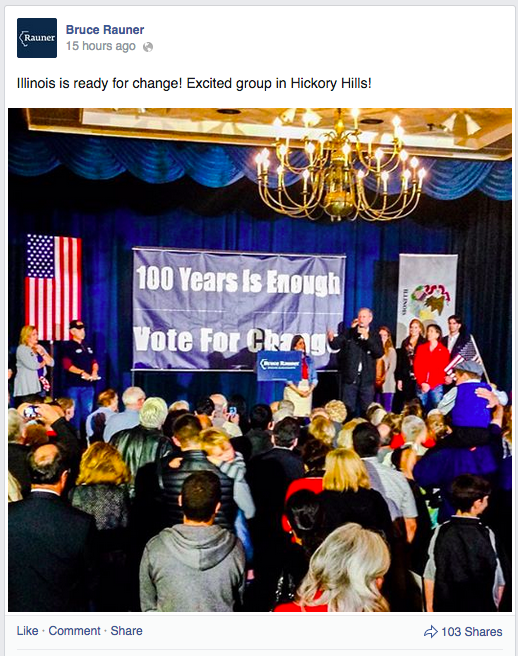 This is the last weekend recap before tomorrow's General Election here in Illinois. 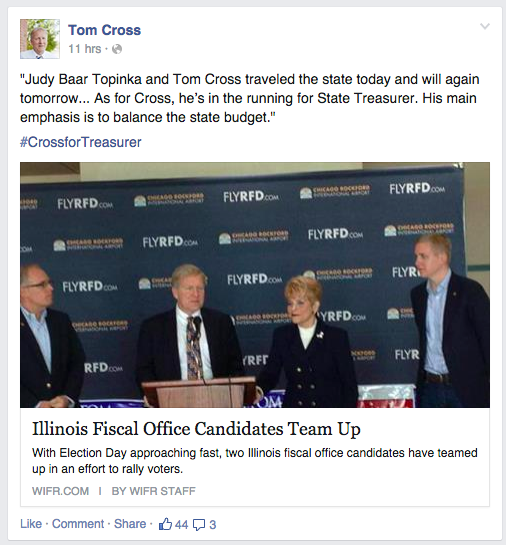 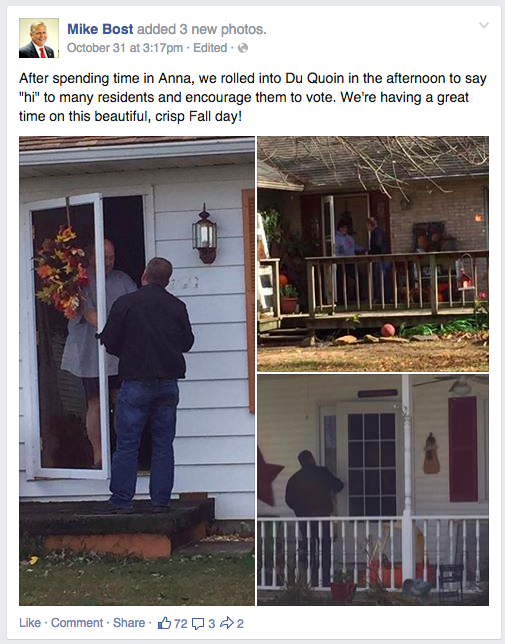 Let's take a spin around Facebook to see what the candidates were up to in the home stretch! 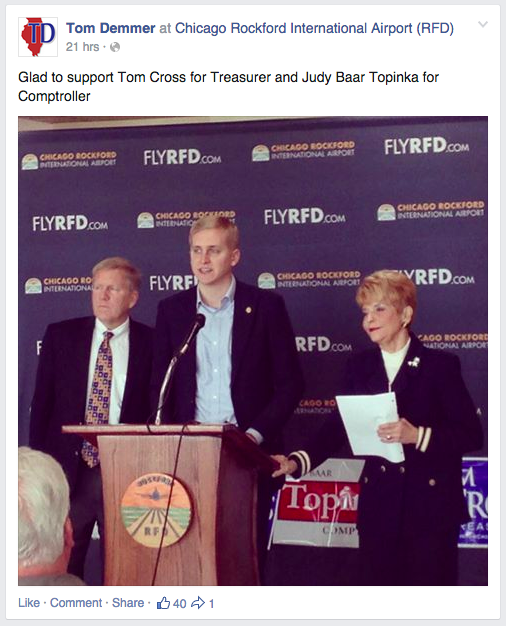 Congressman Aaron Schock joined Bruce and Diana Rauner and Lt. 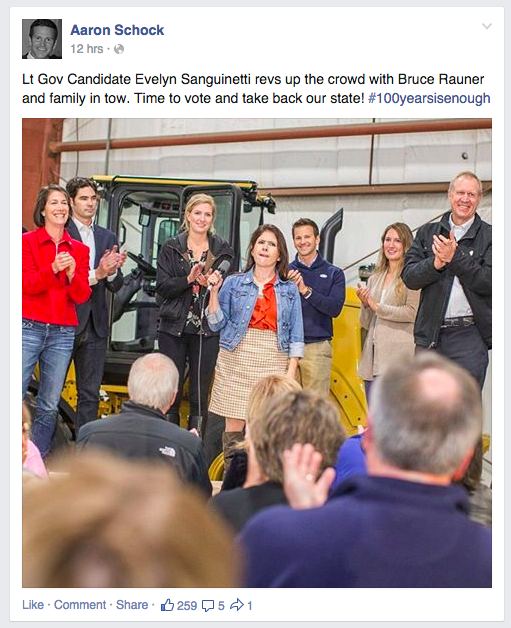 Governor candidate Evelyn Sanguinetti at a rally downstate. 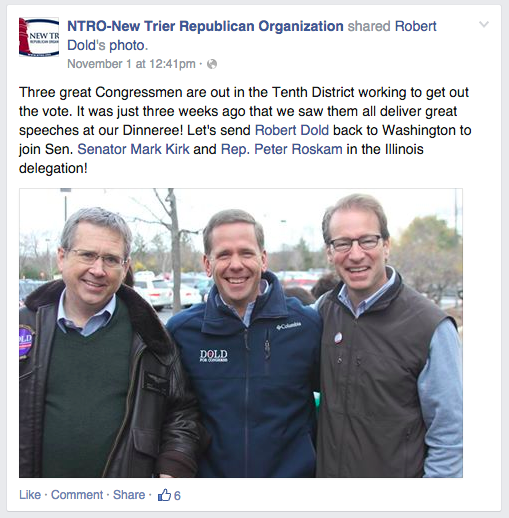 Congressional candidate Mike Bost spent the weekend contacting voter door-to-door. 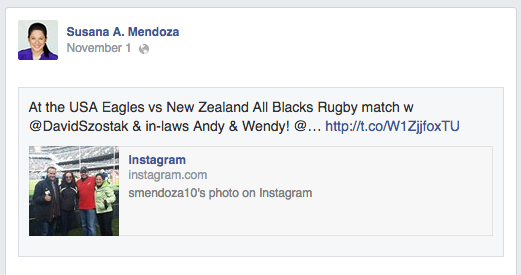 Chicago City Clerk Susana Mendoza attended the rugby game at Soldier Field this weekend. 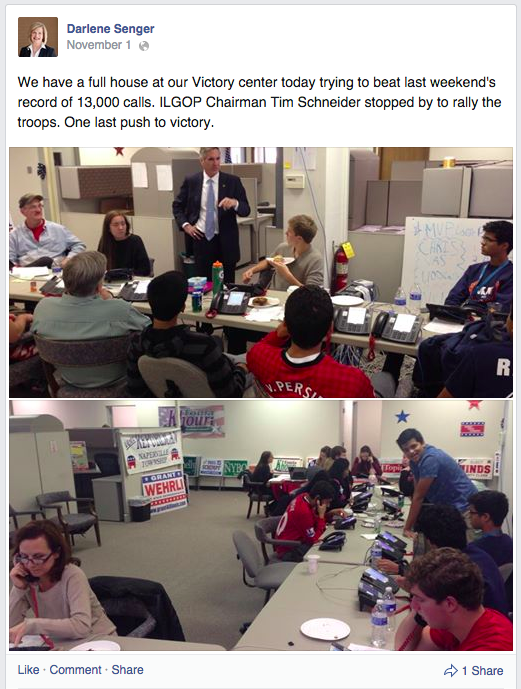 And Congressional candidate Darlene Senger was joined by ILGOP Chairman Tim Schneider at her campaign HQ where volunteers were busy hitting the phones.